The perfect gift for a bookworm, a simple bookmark that envelopes the corner of a page. It is made in a single hooping, and you can add any embellishments you could imagine. 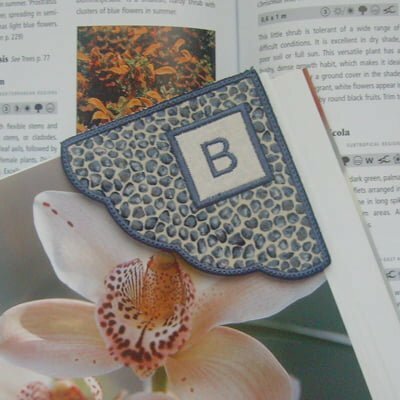 Personalise it for your friends and family with an initial, name or a small design. 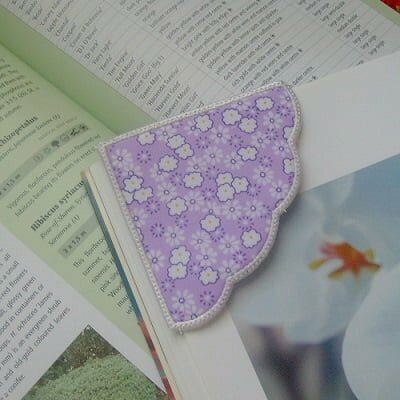 This corner bookmark is a quick project that is ideal for a stocking filler or a gift for a bookworm. Imagine your book club friends each with their own initialled bookmark? 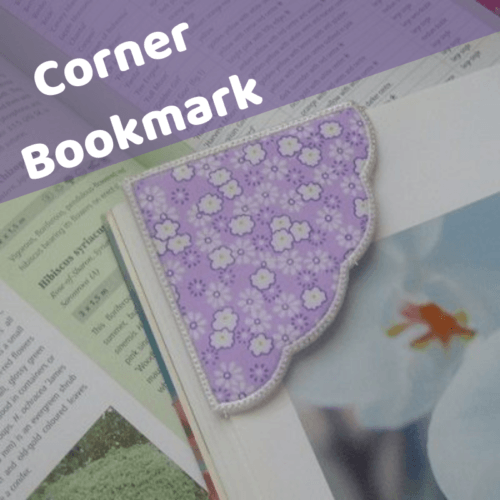 The corner bookmark has a small slip on the back that envelopes the corner of a page or a few pages. You can personalize it by adding a monogram, a name or a small design. You need the smallest frame that most machines have – a 4×4″ hoop will work perfectly. And you will do one bookmark in a single hooping. 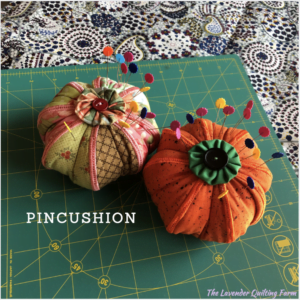 You don’t need to do any additional sewing. 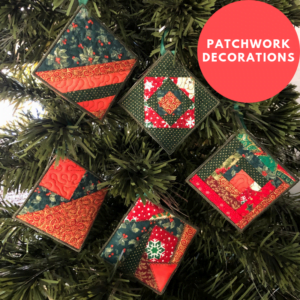 This is a great project for a machine embroidery beginner. 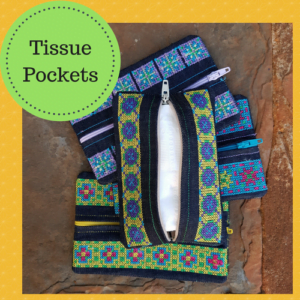 Another good project is the neck pouch. Please contact your machine manufacturer if you are uncertain of the file type your machine uses. Bernina machines recognize the EXP file type. The attributes for this product indicate the available file types for this product. All the files are included in your download. Please contact us if the one you require for your machine is not included.